On behalf of the whole GFDD team, I would like to wish all our supporters and collaborators the very best during this New Year. Our 2012 agenda of work is already off to a strong start, and we look forward to sharing our developments with you throughout the year. GFDD has been invited to participate in the IX Annual International Book and Culture Fair in New York City organized by the Dominican Women Development Center (DWDC). The fair will be celebrated March 23, 24 and 25. During the event, GFDD will be showcasing its Dominican Encyclopedic Dictionary of the Environment and its highly acclaimed New Perspectives: Dominican Republic. Dominican Encyclopedic Dictionary of the Environment masterfully unites information on the environment and natural resources of the Dominican Republic. The publication compiles information on diverse areas, such as terrestrial and aquatic habitats, coastal zones, natural resources, environmental legislation, biodiversity, urbanization, sustainable development and watershed systems. It includes an incredible 712 defined environmental terms, 58 table sets, 123 graphics, 19 scientific articles and over 900 photos. The one-of-a-kind publication is sure to serve as a an important reference for generations of high school and university students and environmentalists. In February, GFDD and FUNGLODE's Global Roundtable will discuss the United Nations Economic and Financial Committee (Second Committee), which is currently chaired by His Excellency, Mr. Abdul Momen. Ambassador Momen was the first Global Roundtable guest to join us for discussions at FUNGLODE in Santo Domingo in his joint capacity as Permanent Representative of Bangladesh to the United Nations. As part of its follow up to the very successful Global Foundation for Democracy and Development (GFDD) will attend Virtual Educa 2012 to be celebrated in Suriname, February 29-March 2, 2012. Global Foundation for Democracy and Development will be representing Virtual Educa Caribe's six years of experience in education, training and innovation. The official internship and academic exchange program of Global Foundation for Democracy and Development (GFDD), InteRDom, will host its Internship Certification Seminar from March 1-2, from 9:00 am to 1:00 pm daily at FUNGLODE Headquarters in Santo Domingo, Dominican Republic. The tri-annual event is an innovative training workshop that enables organizations to detect internal needs, turning them into learning opportunities and capitalizing on the contribution interns can provide. Participants will learn to improve candidate selection criteria and develop work plans, apprenticeship contracts and monitoring programs that will ensure that interns have a real impact on overall productivity. The workshop is open to representatives of private, public and nonprofit institutions of all sizes. 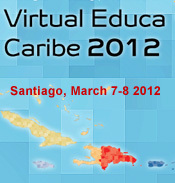 The sixth edition of Virtual Educa Caribe is scheduled to take place March 7-9, 2012 in Santiago, Dominican Republic. The 2012 edition of Virtual Educa Caribe will call attention to the following thematic topics: the new role of educational institutions before a digital world; educators and environmental challenges; innovative trends in teaching and learning; and current perspectives on new technologies applied to education. 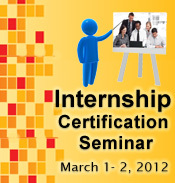 InteRDom, the internship and academic study program of GFDD, will host the second biannual "InteRDom PRO: Professional Externship for Professors and Academics" in Santo Domingo, Dominican Republic from March 14-18, 2012. The 2012 edition of InteRDom PRO seeks to highlight the colonial heritage, cultural diversity and rapid development that characterize the Dominican Republic and provide unique opportunities that make it a prime destination for students, professors, academics and professionals.